Walk slowly through the Christmas story this Advent, as we look at how God not only invites us to come near, but through Jesus’ example, also teaches us how. Consider Mary; Jesus’ radical nearness begins as a baby growing in a mother’s womb, being nourished by her body, comforted by her arms. It doesn’t get any more near than that. 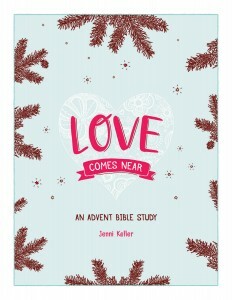 This 25-day Bible study, with a bonus Family Advent Calendar, will help you and your family prepare your hearts for Christmas. 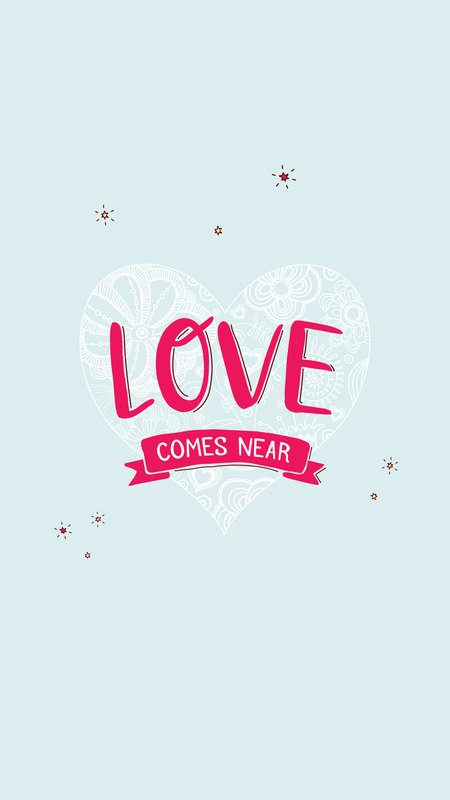 Together, let’s celebrate His gift of nearness. He is God with us. Our Immanuel. This family experience is a companion to the Bible study and will allow you to include your family in the conversation of what God is showing you through the Christmas story. Each day includes one passage to read, one verse to write and one question or thought to consider together. You can use the included checklist for each day or string up your own advent calendar and use the provided cut-outs to display in your home. Belief leads to action. Trials lead to growth. Growth makes us steady through the highs and lows of life. The message of James is practical and full of energy. You will sense his practical bent and his continuous energy, compelling us toward action, line by passionate line. 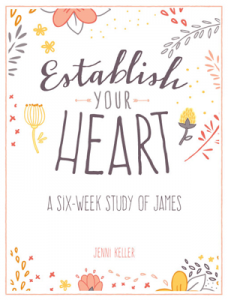 You can’t read the book of James and not feel ready to get to work in the name of Jesus. It’s a great reminder and encouragement to believers, in any stage of your faith walk. We are incomplete creatures. We know this. We try hard to keep all our plates spinning. But when they come crashing to the floor and we sit angry and disappointed in ourselves again, we are reminded. But, all those cracks. All those failures. All those places where we don’t measure up, are filled in by Christ. Let that truth come awake in you like hot coffee first thing in the morning. We try so hard. But we don’t have to. Jesus paid it all. And He makes us complete. 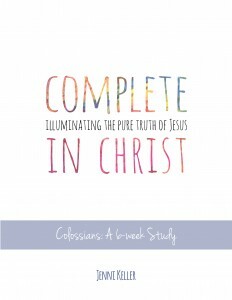 The book of Colossians reminds us of the greatness, sovereignty and pure truth of Jesus. Paul comes to life as a passionate and compassionate teacher, dead set on driving home these truths to a baby church. Before we dive into the rich message from Paul to the people of Colossae, we will take a moment to examine the cast of characters mentioned in the book. Each of these characters bring their own value to the story. It’s easy to skip over these details, but we don’t want to miss the significance of why Paul mentions them. We will also consider the place and time in which the book of Colossians was written and how the setting affects the message of the letter. 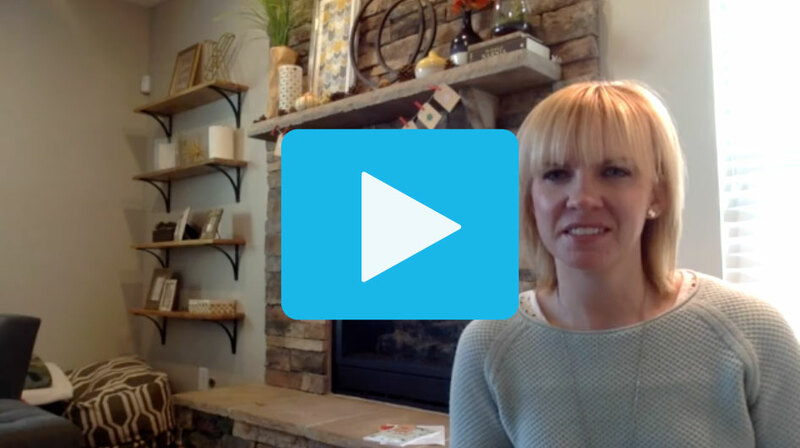 Getting the context of the letter will help set it up so that you can fully grasp the message, heart and purpose of Paul’s words to this new church. The opener of this letter states, in essence; “To: Colossae”, “From: Paul”. How does this opener compare to other letters from Paul? Read Ephesians 1:1-2 and Philippians 1:1-2. What similarities/differences do you see? We already know from these first two verses that there are believers, actively living out their faith in the city of Colossae. Let’s take a quick look at what made this city significant. Colossae was located in Phrygia, in the Roman province of Asia (what is present-day Turkey), on the Lycus River. It was about 100 miles east of Ephesus. Several hundred years before Paul’s ministry (36-68 A.D.), Colossae was a leading city, located along a vast east-west trade route, from Ephesus (on the Aegean Sea), to the Euphrates River. The city was best known for its fine wool industry. But by the first century A.D., Colossae had lost its prominence. Because the main road had been rerouted through Laodicea, a nearby city, this meant that the usual crowds of people traveling through on the trade route now bypassed Colossae. Over time, Colossae became merely a second-rate market town. Neighboring towns of Laodicea and Hierapolis were now the places to be. What surprises you about this passage? Where do you see themes in Paul’s message? As baby Christians, the Colossians are easily convinced by others who claim to be experts in faith. They have been taught the truth, but these false teachers are making their own additions, with false motives, and their arguments are convincing. The truth is, if I lived in this time, I’m sure my head would be spinning; trying to sort out truth from lies as I sought to secure my faith roots. This consideration makes me so thankful for a communicator like Paul. His words are laser-focused. Consider the people in Colosse, what conclusions can you draw about their current challenges? How would you summarize Paul’s intentions in his message? Are there patterns in the text? Does Paul repeat himself? What words and phrases does Paul use frequently? Why does he emphasize these points? Attributes – a quality or feature regarded as a characteristic or inherent part of someone or something. Descriptives – Words used to describe or enhance the meaning of the text. Make a list of every attribute of God/Jesus you see. How does Paul describe Him? Make a list of descriptive words used in the passage. What attribute of Jesus are you most thankful for? Which descriptions took on a deeper meaning for you?